The 55-year-old former Everton and Manchester United boss arrived at the London Stadium in November, with the sole objective of ensuring the Hammers' top-flight status, which he achieved. 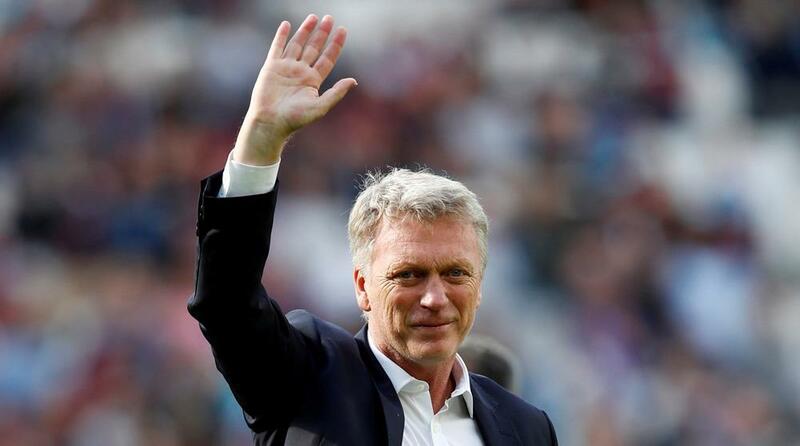 "I would like to place on record my sincere thanks to David Moyes and his staff for achieving the target of keeping West Ham United in the Premier League," said joint chairman David Sullivan. "When David and his team arrived, it was the wish of both parties that the focus be only on the six months until the end of the season, at which point a decision would be made with regards to the future," he added. Sullivan said the club, who finished 13th in the Premier League, aim to appoint a "high-calibre" successor within the next 10 days. The announcement on Moyes came barely 12 hours after David Gold, West Ham's co-owner, said he hoped Moyes would remain in charge for next season. Reports this week said West Ham had held "productive" talks with Paulo Fonseca, the manager of Shakhtar Donetsk, while Sullivan remains a long-term admirer of Newcastle's Rafael Benitez. Moyes succeeded Slaven Bilic in November, when West Ham were in the relegation zone, and guided the team to safety. Speaking after West Ham's recent draw against Manchester United, he said staying in the Premier League was a "big achievement". "We had to get the players in order a little bit after we came in, and we have done that," he said. "This is a big club and there are big expectations from the supporters so they will need to improve." Moyes managed Everton for 11 years from 2002 before leaving the club to replace Alex Ferguson at United but was dismissed after just 10 months in charge. He also had a disappointing stint in Spain with Real Sociedad. West Ham's statement came just hours after Everton announced the sacking of Sam Allardyce.